Happy Easter to all. Been working very hard as of late. Anyhow this Easter Sunday Morning the dogs spotted this colorful Easter egg in the sky over our back yard! Very nice capture Chig ! thanks. I keep trying to come back, but between extra hours doing some consulting work, and technical woes with my laptop pcs as of late, my free time is eaten up. just discovered that I can't send email on my laptop (complains that I am missing some DLLs). Ann's laptop has a hard disk that is failing. I tried all weekend to install her operating system to no avail. Time to crack the case. Hopefully I will get back on here soon. I did want to wish everyonea happy Easter! colorful and nice, happy easter! colourful and great!.. bit late, but happy eastern to you and loved ones!!! You must be in Tucson. He flew over my house too. Thanks a lot, my friend!!! The same to you and yours!!!! haven't been arround for some times and checked right before your recent additions. 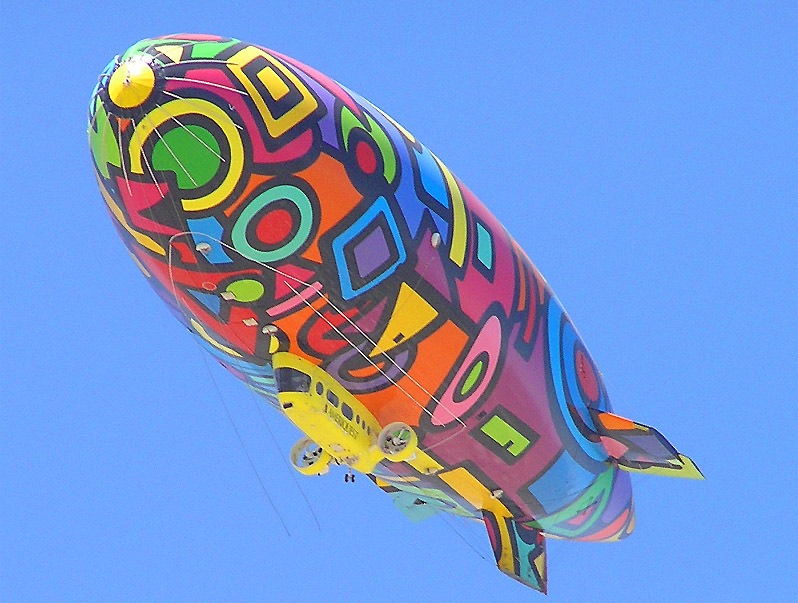 Great how good they are - like this one due to it&#180;s colours and the fact that such a Zeppelin is pretty unusual - congrats and thanks for sharing.